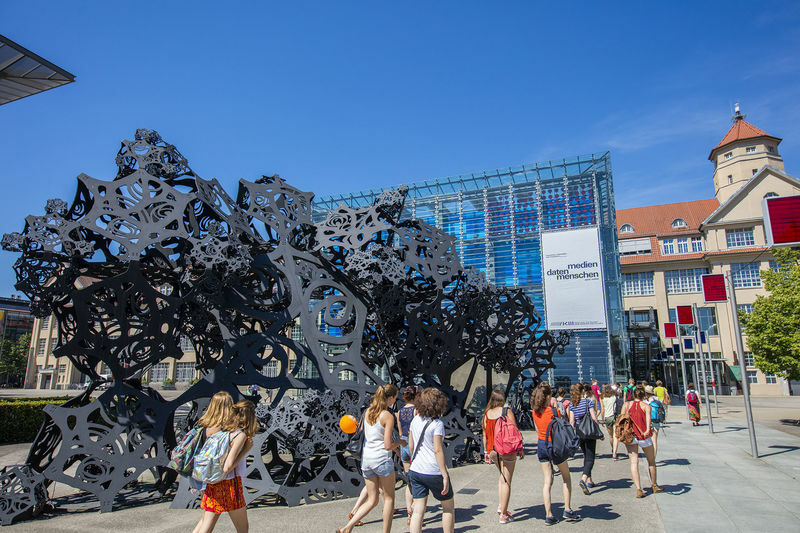 The mission of the ZKM | Karlsruhe, which was established in 1989, is to preserve the classical arts in the digital age. This is why Heinrich Klotz, the founding director, also called it the ‘electronic’ or ‘digital Bauhaus’. The ZKM, Karlsruhe University of Arts and Design (HfG) and the Städtische Galerie have been housed in Hallenbau A (built in 1918) of the Industriewerke Karlsruhe-Augsburg (IWKA), a former weapons and ammunition factory, since 1997. Previously, in the 1980s, it had been occupied by groups of artists, who had pointed out that the space could be used for cultural purposes. Consequently, the reinforced concrete frame was rebuilt by Schweger + Partner, an architectural practice, in 1993. 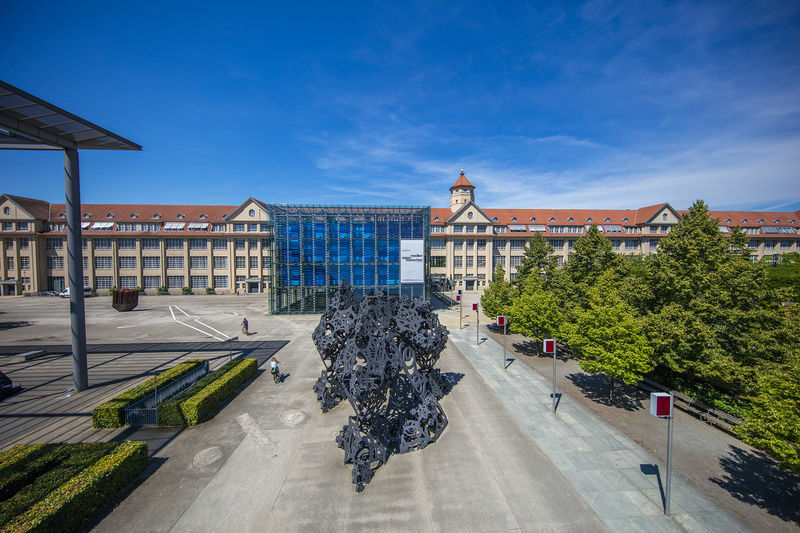 With the Museum of Contemporary Art, the Media Museum, the Institute for Image Media, the Institute for Music and Acoustics, and the Institute for Media, Education and Commerce, the ZKM has a variety of options for promoting interdisciplinary projects and international collaboration. It offers visitors plenty of scope to take part in events and tours, or to view public collections and the media library. The centre also offers a programme of special events that walk the tightrope between art and architecture – ideal for receptions, celebrations, symposia, workshops, gala dinners or smaller events, in a unique atmosphere, even suited to the most technical of requirements. Thursday 10:00 - 18:00 Die Ausstellung Open Codes bis 22 Uhr geöffnet.